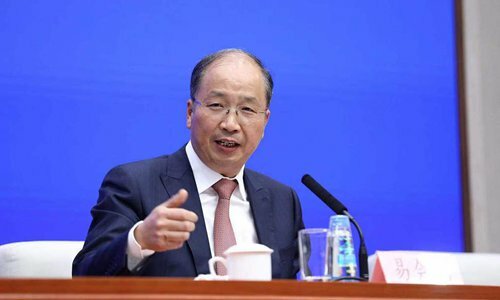 The chairman of Industrial and Commercial Bank of China (ICBC), Yi Huiman, has been appointed head of the China Securities Regulatory Commission (CSRC), to replace Liu Shiyu, Xinhua News Agency said on Saturday. Yi, 55, has been with ICBC for more than 30 years, and was appointed chairman in May 2016. In January 2018, ICBC took over US-based global financial services and investment management firm Morgan Stanley to become the world's largest bank in terms of market capitalization. ICBC's A-share price hit a record high of 7.54 yuan ($1.18) on January 23, 2018, sending its market capitalization to $407.3 billion. ICBC achieved a net profit of 241.12 billion yuan in the first three quarters of last year, a year-on-year increase of 4.82 percent. Liu Shiyu was appointed head of CSRC in February, 2016, vowing to enhance supervision. In 2017, 478 new investigations were launched, and 312 new case filed, including 90 major, a two-fold rise year-on-year. On Friday, the indices of China's Shanghai and Shenzhen stock exchanges rebounded in early trading, and then maintained a strong momentum. At close, the Shanghai Composite Index rose 0.41 percent to 2,591.69 points, and Shenzhen Component Index rose 0.66 percent to 7573.52 points. Liu Shiyu’s new position is deputy Party secretary of All China Federation of Supply and Marketing Cooperatives, according to the official website of the federation.